South Korea’s impending closure of analog television broadcasts will cut off one of the few uncensored sources of information available to North Korean citizens. South Korea, like many countries, is coming towards the end of a transition from analog to digital broadcasting and ending analog transmissions region by region. 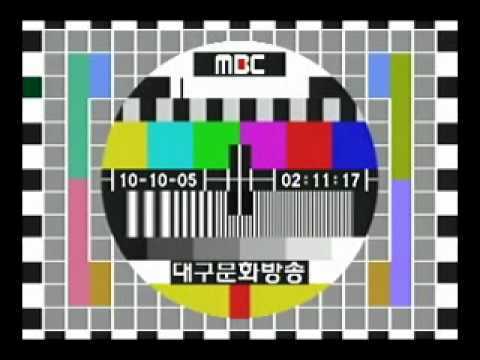 The process began in August but didn’t affect North Korean viewers until October 25, when analog TV was switched off in Gangwon province. The second stage that will affect North Korea is the final step in the process, when analog TV in the Seoul metropolitan area and Gyonggi province will end on December 31. Because digital signals are incompatible with analog television sets, South Koreans must purchase a new TV or a set-top box converter that will allow continued viewing on older TV sets. While buying one of these doesn’t present a problem for South Koreans, they’re unavailable to North Koreans. As a result, the South Korean government is about to achieve something the North Korean government has so far been unable to do: prevent all homes north of the border from tuning into South Korean TV networks. The precise number of North Koreans who tune into broadcasts from the south is difficult to know, but a survey carried out in 2010 found a quarter of 250 defectors and travelers surveyed outside of North Korea admitted to tuning into foreign TV broadcasts. Of those, 15 percent reported watching Korean-language broadcasts from China at least once a week. Only four percent said they tuned to South Korea’s KBS on a weekly basis. Caution needs to be taken with both numbers because of the small sample size and focus on North Koreans that had made it overseas. Many of these come from northern provinces that border China, so a true picture of foreign TV viewership in southern provinces is even more difficult to come by. To watch South Korean TV, viewers in the north must already put up with incompatibilities. The south uses the American NTSC broadcasting standard while the north uses the European PAL system. That means a multii-standard analog TV is required, or putting up with a black and white picture that probably suffers from low quality. But at least the signal comes through. Digital broadcasts viewed on analog sets appear no different from the static displayed when tuned to an empty channel. In the future, digital TVs might make it into North Korea although differing standards could again cause problems. South Korea has adopted the American ATSC digital system while China has gone with its own format, DTMB. Therefore, Chinese TVs brought across the northern border will likely be useless for reception of South Korean TV stations. 3 Comments on "North Koreans to soon loose access to South Korean TV"
You’re absolutely right. They can even use highly directional antenna’s to bean the signal efficiently into North Korea. When using VHF frequencies the signal can traverse even further because of the lower attenuation. SK should only be carefull which frequencies they use because using frequencies already used by NK will likely annoy the ruling party and give them more reason to jam the signal.